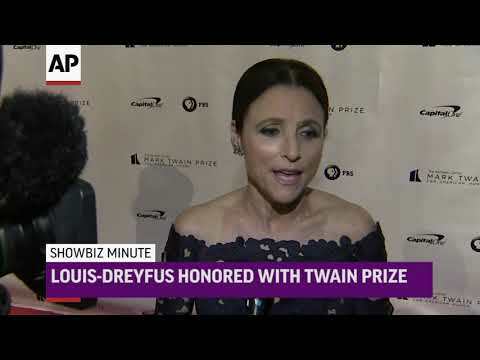 NEW YORK (AP) — Julia Louis-Dreyfus still had tears to shed as she said her official farewell to "Veep." The only problem is she forgot to bring tissues. United Nations ambassador Nikki Haley is the best communicator in American politics today, according to a technology company that specializes in voice transcription. To their robots, Haley is a better orator than Hillary Clinton and a stronger speaker than former president Barack Obama. And, according to their tests, the former South Carolina governor is far better at getting her message out than her boss, President Donald Trump. NEW YORK (AP) — A producer of "Veep" says filming of the HBO comedy has been postponed as its star, Julia Louis-Dreyfus, undergoes treatment for breast cancer. NEW YORK (AP) — The Emmy statuette depicts a winged woman, and this year's Emmy telecast celebrated a TV season in which women, as never before, were able to soar. LOS ANGELES (AP) — HBO says its much-honored political satire "Veep" is coming to an end. LOS ANGELES (AP) — Actors Anna Chlumsky and Shemar Moore are set to announce nominations for the 69th annual Emmy Awards. The nominations will be released July 13 at the TV academy's headquarters in Los Angeles. 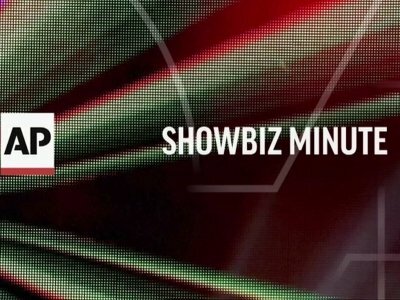 The event will stream live on Emmys.com. In announcing the presenters Thursday, TV academy CEO Hayma Washington said the television industry has never been more inventive. CANBERRA, Australia (AP) — An Australian lawmaker said Friday he was stunned that he had grabbed the attention of stars of the U.S. television series "Veep" by laughing so hard at an episode of the political satire that he choked on his sushi and knocked himself unconscious on a kitchen bench. BOTTOM LINE: Northwestern is playing with house money. The Wildcats advanced to the tournament for the first time and even won a game. Gonzaga, on the other hand, was expected to be here and expected to go much further. Northwestern will have to overcome Gonzaga's significant size advantage. It’s President’s Day weekend. We thought we’d celebrate with a film festival of sorts, featuring memorable performances on the big and little screens of American presidents – real and fictional. As we started brainstorming, it occurred to us that this is a more difficult task than it initially seemed. The list of notable screen presidents is long. Here are 7 of our favorites. "This story is of unity, this story is what happens when we put our differences aside and we come together as a human race. We win, love wins, every time. ... Thank you so much for appreciating these women. They are 'Hidden Figures' no more!" — Taraji P. Henson, accepting ensemble cast honors for the film "Hidden Figures," about African-American mathematicians in the 1960s space program. — "Huge thanks to the Hollywood Foreign Press Association and the Russian hackers that made our nominations possible." — Julia Louis-Dreyfus' tweet on recognition for her and her comedy series "Veep." NEW YORK (AP) — "Are we ready to make the Emmys great again?" asked Jimmy Kimmel as he finished his opening monologue. The Emmys may or may not be all that great, but ABC's Emmycast, in Kimmel's capable hands, was dandy. NEW YORK (AP) — Since it often seems like the most entertaining limited series on television, there was little surprise that the presidential campaign made its presence felt at the Emmy Awards. Jokes and politicking took place onstage and off Sunday. Former Republican candidate Jeb Bush made an appearance in Jimmy Kimmel's opening comedy skit and Hillary Clinton tweeted congratulations to her impersonator, Kate McKinnon of "Saturday Night Live." 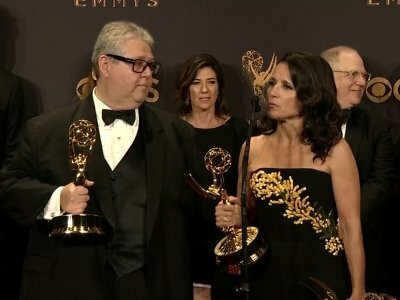 LOS ANGELES (AP) — Julia Louis-Dreyfus managed to make people at the Emmy Awards laugh despite personal heartbreak. 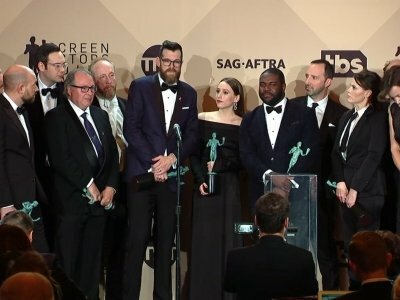 The actress, who won her fifth consecutive trophy as leading actress in a comedy series for "Veep," took digs at Donald Trump and thanked the show's producers two days after the death of her dad. She revealed the family news at the end of her speech Sunday. Eighteen years ago, in one of the most anticipated moments in American television history, fans of "Seinfeld" obsessed over the series ending its nine-season run and struggled with saying goodbye to one of the most influential, hilarious and successful comedies of all time. In a sense, though, the farewell wasn't entirely necessary.